A true story of what happened to me in a Third world country,Kenya, and a quest to contact a neuroscientist, to relate the truth to the world & a part of self-discovery, too. My story is too make an impact on religion & self-discovery. Question: Does salvation come from the Jews ! In my case it did !!! Please forward this article to any neuroscientist, this event actually very closely proves the existence of GOD, The event that happened to me is REAL, I do not want to benefit with any form of monetary reward, only Human advancement but i cannot do it here in Africa. There are no neuroscientists here.Supposing you responded to a TV programme, Some of this can solve our quests for answers in spirituality. Maybe even stop wars. I was in a deprived, poverty stricken state & then it started with a TV program, I started to respond to it. See below , dashes(-) = common actors whilst the asterisk(*) represents =JR ewing. Watching Dallas episodes culminated in me getting a trauma like situation which brought about a change in my brain through watching a TV programme. 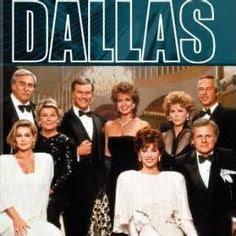 Note Dallas has been written by David Jacobs. Lord Vishnu advised them, “To defeat Asuras, you will have to strive hard and obtain Amrit (the nectar of immortality) by churning the ocean and that’s the only way out for you. See this is just like our immune system, you take your vaccine shots, you become powerful against germs/bacteria. Now remember AIDS strike at your immune system, it is not AIDS that kills, but you succumb to bacterial infection. See the above story is about our immune system. This means that ---------*----------- is the transcendental nature of the appearance. If you know it, you have attained the final goal in Hinduism=Liberation. Chapter 4, verse 6 , the Hindu God descends in animal/human form meaning AIDS is a descent to restore morality.its no wonder there is no cure. 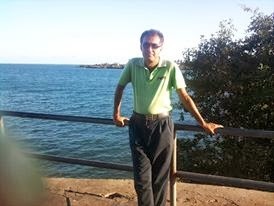 I have done my best to debunk agnosticism, we can know about true nature of God through empirical, scientific methods. I leave it upon the Audience to be the judge. This can have profound implications on our current views. All these is a true story, its only that i am in a Third world country, i have no access to a neuroscientist to tell my story. There is more stuff that i have seen in religious scriptures. To study my brain function would be quiet essential, just for your information, I do not suffer from any psychotic delusional disorders, nor any form of epilepsy, What i have told is the truth, DO NOT allow my brain to be cremated ,it is an area of study ! I have done my best to put the evidence in an empirical manner. My story is true, do you think it isn't ,do let me know ? Any interested neuroscientist , contact me here. Don't let my brain be cremated, rather let it be studied?